I do not see these characteristics as negative in any way. Instead, I see them as different ways creative minds approach their craft. I’ve set out to identify these elements of creativity; and, ultimately, help you find more time to sew and complete projects. I’ve labeled the sewing personalities A, B, C, and D for simplicity’s sake. If anyone has a better way to identify these traits, speak up. I’m open to all ideas. Keep in mind, this is completely non-scientific and solely based on comments I have received from readers. This Sewing Personality likes to have everything out and available. Things like thread and fabric are usually sitting out on a nearby table. Perhaps some of these things must be moved before she can sew. She likely is working on a number of projects all at once, with many “in the works” but several never getting finished. She always completes the important projects, but the rest might sit on on a table top for months and never get touched. Thread will be on a display rack. Fabric is stacked on empty surfaces. She has a large collection of sewing books and magazines which she can’t get rid of because she may need to make that bag from a six year old Sew News magazine. Patterns are not sorted or in any order ~ however, she knows how to find the one she’s looking for in a moment. While on the surface this might appear to be disorderly, having everything in view inspires her creativity. Fortunately, there is a way to stay inspired and still maintain a sense of order. Use open shelves and cubbies for storage. Store fabrics and thread in clear plastic boxes placed on shelves, possibly organized by color. Mason jars are great for smaller items such as buttons, laces, and elastics. Organize books by topic and size. Sort magazines by date and use clear magazine holders to keep them all together. Patterns can be stored with the project fabric for the future. This works well if you put the pattern, fabric, and a few notions in a plastic box. Another way to store patterns is by type, such as dresses, bags, quilts, etc. This works well in clearly labeled plastic containers. Surround yourself with a few finished projects like pillows, quilts, or even fabric storage bins. This will continue to inspire you to finish other projects. By utilizing clear storage containers and keeping things on open shelving it will be easy to see what you have. Having a few photos of your supplies and UFOs will help you keep from purchasing things you already have. Sewing Personality B is the complete opposite of A. 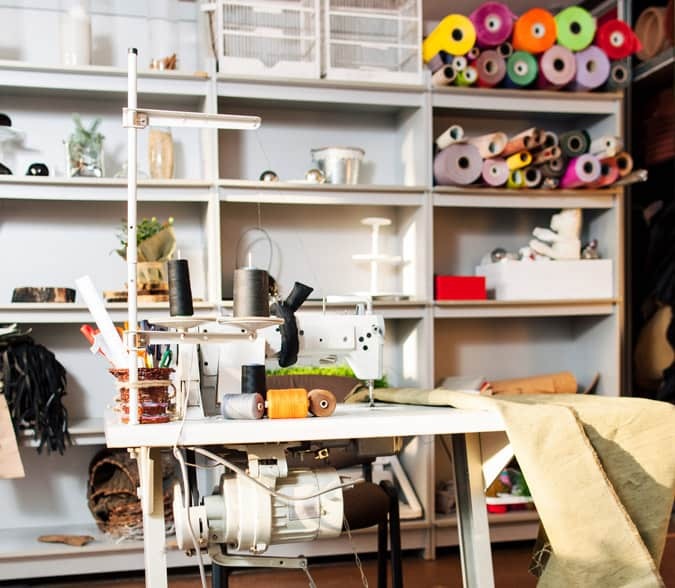 Every inch of her sewing space is tidy, organized, and everything has a place. Even when she’s working on a project, things stay orderly and efficient. Because she’s so focused on organization, leaving an uncompleted project can be difficult. Creativity can get stifled because the creative process tends to be disorderly. She is a master of choosing and using storage pieces from stores like IKEA and The Container Store. Unfortunately, she can get stalled by needing storage baskets and bins to match perfectly. Her sewing space might be so beautifully decorated in a sewing-theme that getting any sewing done becomes a challenge. Someone who is highly organized tends to get a lot accomplished. She could easily manage a sewing business. Using an organizer or planner to keep track of projects will motivate her to start and complete projects. To stay on track and do some actual sewing, create different stations in your sewing room. A Sewing Station, an Ironing Station, a Fabric Station, a Cutting Station, and a Supplies Station are a few suggestions. Keep the necessary supplies at each station. Don’t go too overboard on storage containers. If things are over-organized, it is sometimes difficult to start a new project. Instead, use labels on containers or drawers to help you know instantly where everything is located. All the organizing in the world won’t help you if you’ve placed beautiful basket full of notions on a high shelf. Make things accessible and more will be accomplished. Decluttering after a project is completed is a great way to keep your space tidy and organized. Sewing Personality C is sentimental about everything. Every item in her sewing space has some sort of meaning and becomes a keepsake. Her sewing space tends to be overly cluttered because she doesn’t get rid of things she no longer uses. Her sewing surfaces are antiques and vintage pieces that have probably been given to her. Every saved button, zipper, pattern, fabric, or quilt has special meaning and must be displayed at all times. She has something saved from every project she has ever sewn. It isn’t necessary for someone who is sentimental to part with her treasures. Keeping the clutter tamed is the challenge. The key is to repurpose these mementos and use them for storage and display. A vintage piece of furniture can be repurposed to hold fabric and supplies. Antique mason jars are ideal for organizing small notions. These can then be displayed on vintage shelves. 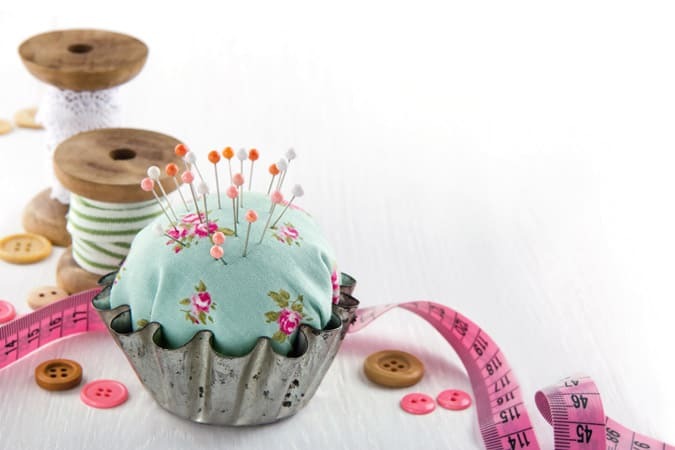 They even make great pin cushions that can serve double duty as storage. Repurposed baskets are great for storing in-the-works projects or future projects. Shop at thrift stores to find old sewing baskets to use for storage. Use vintage linens for window coverings and wall decor. Antique quilts make fabulous wall hangings. On the surface, Sewing Personality D seems very similar to Sewing Personality A. However, there are some differences in the way she approaches her sewing. She is a sewing multi-tasker and usually has numerous projects started. This creates a ton of clutter; and, unfortunately, procrastination causes many of these projects to never get finished. She loves the latest sewing tool or gadget and will purchase it “for the next project” which may get started and then abandoned just as quickly. She owns a large collection of untouched sewing and quilting books. She one day plans to make every project in each of these books. Occasionally, she will throw herself thoroughly into a project and let every other area of her life languish. Finding the right balance can be difficult, but having someone who is willing to help you get and stay organized will keep you from always being overwhelmed by the general clutter that surrounds your creative space. A spouse or best friend who knows your tendencies can gently coax you away from over-buying sewing things that will only overwhelm you more. Organize one area at a time and choose something you love first (like fabric!). Don’t move on until it’s completely organized; then, tackle other areas such as gadgets, books, etc. Have plenty of storage options available so you don’t get sidetracked. Pinterest is a great source for this. When tempted to buy more unnecessary supplies or even a new sewing machine, take a breath and call your accountability partner. She will help you see clearly if you need this item or not. 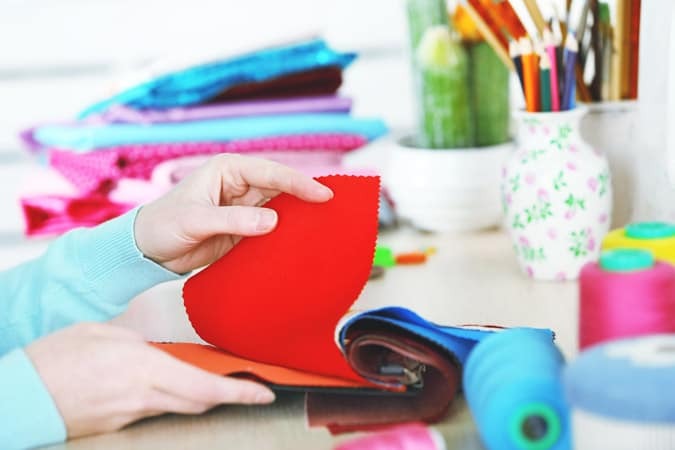 Take 10 – 15 minutes a day to do a little sewing room organizing. This has two benefits. You will save money because you’ll always know what you have and you won’t be tempted to buy more fabric or new gadgets. AND, you will thoroughly enjoy sewing again because the stress of walking into a disorganized space will no longer exist. For me, I’m a mixture of Sewing Personalities A & D. This means my sewing room is always a mess because that’s the only way I can find anything. AND, the clutter completely overwhelms me so starting new projects becomes a challenge. These completely non-scientific observations are based on some of the comments I have collected from readers. However, if you see yourself in one of these Sewing Personalities, I suggest you focus on the positives, ignore the rest, and go sew something. While you’re at it let me know where you fit in? I am A & D sewing personality. My patterns & fabric is organised tho. With quite a few girls dresses in production line, it’s a constant struggle. But I love it. I’m an A & D, leaning more toward the D!! Lots of projects going! I am mostly A with just a pinch of D.
I am an A and a D also. I have piles but I know what is in each one. I have neatly folded fabrics on shelves by color, with separate places for solids, certain themes (Christmas, dogs, dots, etc) and specific designers like Bonnie and Camille or Tasha Noel or Lori Holt. I have more books than I will ever use but still want more…. I have entirely too much stuff but I love it all. This is great! I’m definitely A with a tinge of D. I have enough fabric and patterns to last me the rest of my life (at my pace), but that doesn’t stop me from seeing a new project that I love and buying more. Great article. I think I’m a B with a slight bit of A. I really can’t work if things aren’t in their place, it bothers me a lot. I’m an A with a bit of D thrown in. This a great article! I am an A with just a little bit of D. I don’t buy Gadgets as they seldom work. I prefer to buy Tools that I can use a lot of the time, and I have plenty. Hi What a fantastic post I think that over the years I have been in each category twice!! At the moment I am definitely between B and D everything is in its place and any new gadgets that I read about or new sewing books I WANT do not need but want! I find the comments on how to utilise interesting and include some good tips and look forward to reading comments from others this will surely add inspiration and motivation as does all your blog which I look forward to reading all new articles. Lord help me! I carry a little bit of each of these sewing personalities. Ha!!! I love the helpful tips for each and can see how implementing some of them into my “style” can help smooth things out and create some balance. I do need an accountability partner though!!! B wih a dash of C. In a small apartment the bedroom doubles as sewing room. 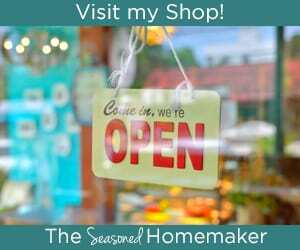 A place for everything and everything in its place, that’s me – whether it be sewing, painting or even kitchen organization. Clutter drives me CRAZY! It’s fun to give small gifts crafted with scraps of family lace and vintage fabrics to granddaughters. It’s tactile history. Each of your personalities assumes there is a dedicated sewing area. Given the chance, I’d likely be in the A category, but instead, I suggest a fifth: The Closeted Sewer. Because of limited living space, HE–that would be me…all your personalities are also women, it seems 🙂 –is forced to store all of his sewing stuff in boxes and bins in the closet. When the need for a project arises, the extension goes in the dining room table, with the cutting mat on one half, the Bernina on the other, and everything else that is needed is brought out until my apartment looks like a fabric store disaster area. When the project is finished, everything is put back in its proper place. The benefits are that I have to keep everything organized and orderly to effectively pack it up and my projects tend to be very focused, although sometimes frenzied, lasting only a few days at a time. My friends know that if I’m sewing, I probably won’t be doing much else until I’m finished. Someday, I hope to Let It All Hang Out, but, until then, the closet works for me. Thanks for another great article, Leslie! As a recovering Closet Sewer I completely understand. And, I’m sure all of the ladies that hang out here would love to know more about sewing from a fella’s perspective. So, let’s see….I don’t work on more than one machine project and one handstitching project at a time because I like to finish what I start. It is really rare for me to have a UFO. While I’m in the midst of a project, my sewing room looks like a bomb went off, but I have multiples of most sewing tools (like sewing gauges) so that if I lose one in the chaos, I have another in an organized place that I can use. After one or two projects (three at most!) I then tidy up the sewing room, recovering my “lost” tools in the process and I put them back in their designated place. I don’t save everything I’ve ever made, but I do have a shelf full of garments I made and will never wear, neatly folded and sorted by garment type. My fabric stash is sorted by type, not by color, because if I want to make something out of a ponte, then I can see all my ponte fabrics in one shot without rooting around the stash. I have a lot of sewing books regarding technique and fitting–not many regarding projects to make. I recently organized my thread and my zippers–thread is by color in a drawer where the browns are far from the blues which are far from black so I don’t get them mixed up. Zippers are organized by type and then by length in boxes. organizing these two areas alone has sped up my sewing! This past weekend I organized my sewing needles by type and size. Since I live in a townhouse without a basement or garage, the only storage I have is the closets and a phonebooth sized “shed” outside so I really can’t let things accumulate too much or else it drives me crazy. My next goal is to get all the fabric in the fabric closet. I did stage 1 of the purge last weekend and while I have a big pile for donation, I also have a smaller pile that won’t fit in the closet. So, I’ll have to up my game with stage 2. Hi Leslie,great article. Well I just retired yesterday and we sold our 3 bedroom home 3 floors and moved into a 2 bedroom 880 square foot home and I love it. I did have a small bedroom dedicated to my sewing and crafting. Sweet hubby said take the spare room for sewing.we just moved 2 weeks ago so all my machines and supplies are still packed and not quite sure how I am going to organize it. Knowing we would make a move like this I have collected a lot of supplies for sewing, machine embroidery and my newest toy I have still in the box ScanNCut. I had a number of years saved Sew News, Threads over the years I could just not part with,then the move I put them in the good will. I decided whatever was in them I can find on my iPad. Major mind shift for me. Your articles of your downsize really helped me. Sorry for rambling but I think I am probably A and D. I am not a quilter but the first Craftsy free glass BOM with Amy Gibson was so fun. I bought fat quarters and loved the look of it I had a hard time pulling the ribbon off to even think about cuttin it. I did eventually still haven’t finished but I will. I got so excited when I saw the title of this post! 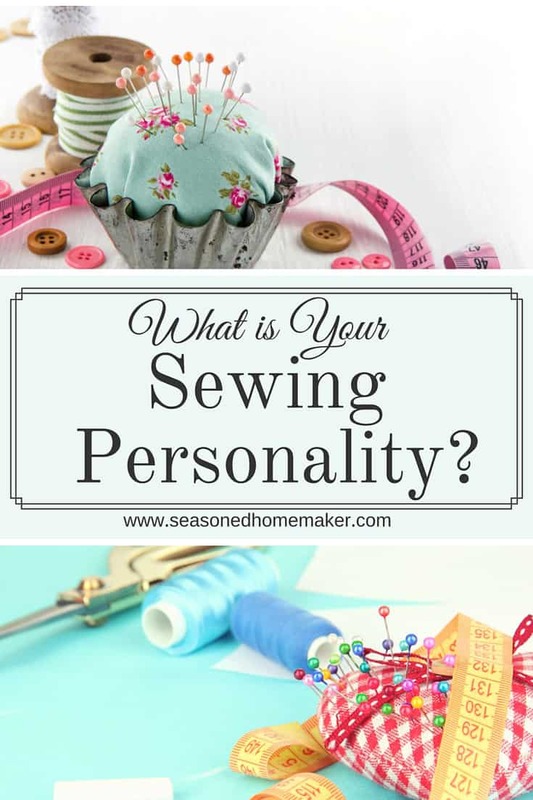 I’m a big fan of using Myers Briggs typology as a tool for self-awareness, but have never thought of doing something similar with regards to my sewing. I’m absolutely, without a doubt, in your type B category. I organize things for fun, and feel much more comfortable working in an organized space. Over the years, I’ve tended to sew in the same way that I cook: I get out everything I will need before I start, then put away each “ingredient” as soon as I have finished using it. I like the idea of having established stations for each part of the sewing process, which would keep me from feeling as if I need to “clean up” after each step. Right now, I have to pull out my iron and board every time I need to press something and (true to my personality) put them away after I finish that one part. To finish a project, I might set up and put away my ironing board five or six times. Thank you so much for helping me to realize how much time I’ve been wasting by doing things that really don’t make much sense! Thanks so much for sharing. I wrote this hoping that people would find simple solutions (like setting up stations) to keep them sewing! You Diagnosed me right on the spot. I am a sewing personality A. I had never thought of the different types of seamstress but it all make sense. I have spent more time trying to organize it and keep it organize than I do sewing. Now I can concentrate on what I really love and not worry that my room does not look like the rooms on pinterest..THANK YOU. 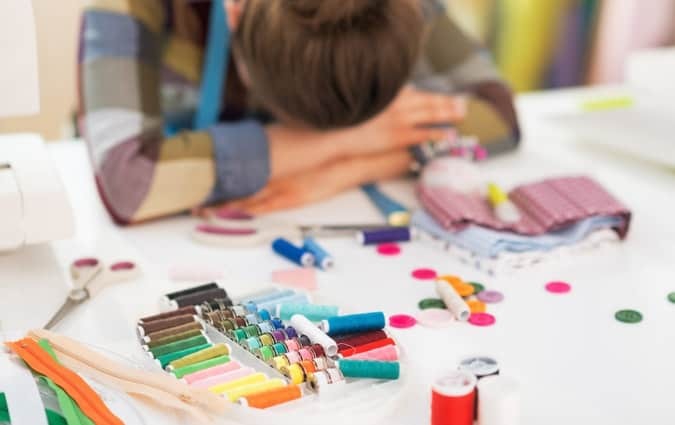 Enjoyed this article on Sewing Personality Type, I’m a combination of A & C. I teach beginning sewing classes to International Ladies and would love to share this article with them. It would make for an interesting discussion. Do you have a printable version available? I enjoy your Pinterest Boards and am on your mailing list. Thant’s for all the good ideas. I too am a seasoned sewer and enjoy sharing my craft with young ladies just learning. So I am just a mess! I was a D, so I became an B for awhile (with the help of Pinterest actually), now I am a recovering D trying to be an A for the most part. I really need to write about my sewing room transformation some day. I was quite a project. The key for me is knowing what I am going to do with things when my D takes over and organizing around that. I have a well-organized pattern file, but I also have a drawer right next to my table that I throw random pattern pieces in so at least they are in one place because I know I am not going to put them away properly as I sew.ff I lost something important in there the other day so I really need to get it together. Your description of yourself is dead on for me as well. I have to keep telling myself just one thing at a time! ANd now that I am getting older, it seems that it takes me twice as long to do half as much. I’m still trying to adjust to that fact haha. I think I am a combination of B/C. Very organized and everything has a place. The decor in my room all has sentimental value but is not overwhelming but are all reminders of those people and those things I love. I need my space clean and organized to work. That’s not to say that while I am working it doesn’t get messy. Just gets cleaned and put in order when finished. This was an interesting article! I go back and forth between an B and a D. I organize it to the nth degree, till I find it difficult to “break into it” to start sewing, but once I do, I put each thing away right after for the first while, until a point comes where I give that up and everything turns into chaos, lying where it lands. I have multiple UFOs and don’t buy much new stuff because I can’t afford it. Otherwise, I totally would! This was interesting, entertaining and a little bit scary. Some amazing observations you made! I definitely lean more towards the B type. My husband claims I’m OCD. But when things aren’t in their place – chaos and disorder – it totally makes me nervous. However, at any given time, I could be working on multiple projects and all at the same time. Drives me batty sometimes! I’m also definitely a planner person. Not that I like my life all planned out, but I like to know what I’m working on and when I need to have it completed and what’s next….. and how many things can I do at once? But, I gotta say, I’m most productive when I’m focused on one thing at a time. Thanks for giving me a reason to reflect on my work habits! !